Silk Peel is a sophisticated and technologically advanced microdermabrasion system by GENERAL PROJECT to perform progressive and controlled skin’s exfoliation. SILK PEEL’S maximum versatility and full abrasion power in a compact design allows professionals to correct skin abnormalities that are originated in the epidermis and the most superficial layers of the dermis. 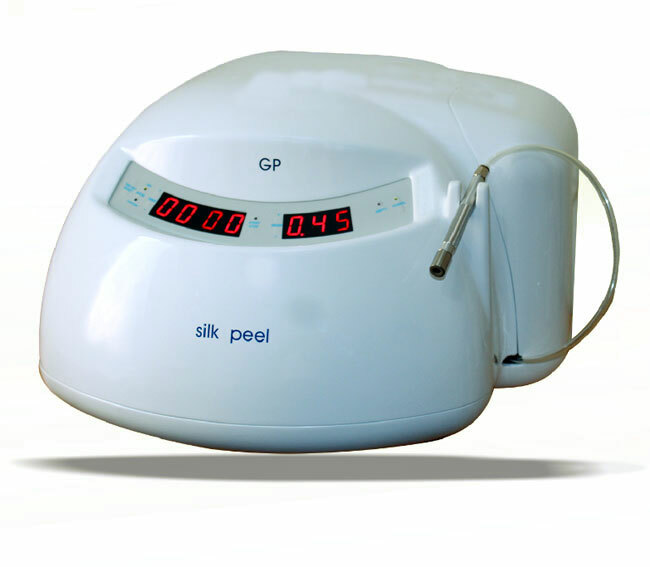 Silk Peel is fully controlled by a microprocessor and equipped with electronic vacuum level adjustment, a digital control panel as well as various other innovations to enhance functionality and ergonomics. A highly efficient handpiece allows perfectly uniform abrasion. Abrasion precision, effectiveness, reliability, robustness and durability are levels of absolute excellence. Controlled projection of an inert micro – crystals. Advanced microprocessors controlled electronic vacuum adjustment system. How Silk Peel benefits your practice? How Silk Peel benefits your patient? What can you treat with Silk Peel?